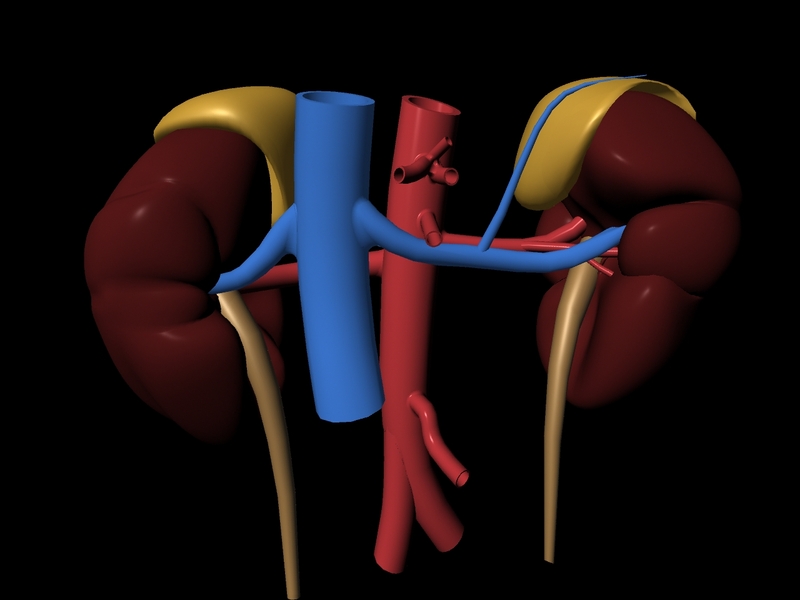 Coaches and clinicians should consider adding kidney disease to the long list of health problems associated with anabolic steroid abuse, according to new findings presented here at Renal Week 2009: American Society of Nephrology 2009 Annual Meeting. “We think there is a direct toxic effect between steroid abuse and kidney damage,” said Vivette D. D’Agati, MD, professor of pathology and director of the Renal Pathology Laboratory at Columbia University Medical Center in New York City, and senior author of the study. She and her colleagues first noticed the connection in 1999, while studying the relation between kidney disease and obesity. One of the patients was a bodybuilder, whose body mass index (BMI) of 41 kg/m2 more than met the technical definition of obesity (≥30 kg/m2), but whose excess weight came from lean body mass rather than fat. The patient told the investigators he engaged in power lifting for several hours a day and used anabolic androgenic steroids (AAS). Between 1999 and 2009, the authors identified a total of 10 men with an average age of 37 years and an average BMI of 34.7 kg/m2, the result of highly muscular physiques from bodybuilding. All admitted to long-term AAS abuse and had proteinuria levels of 1 g/day or more and biopsy-confirmed focal segmental glomerulosclerosis or glomerulomegaly. Five of the 10 patients had full nephrotic syndrome. Of 8 patients available for long-term follow-up (average follow-up, 2.2 years), 7 reduced their exercise and discontinued AAS use, which resulted in weight loss, stabilization or improvement in serum creatinine levels, and reduced proteinuria. One patient experienced progressive proteinuria and renal insufficiency when he resumed taking AAS. Renal impairment was worse among the bodybuilders than among a historic control group of 65 obese patients, even though the obese patients had a higher mean BMI (41.7 kg/m2). Mean baseline serum creatinine level among the bodybuilders was 3.0 mg/dL, compared with 1.47 mg/dL in the obese group. The bodybuilders had a mean proteinuria level of 10.1 g/day, compared with 4.09 g/day among the obese group. Thirty percent of the bodybuilders were fully nephrotic, compared with 5.6% of the obese patients. One encouraging finding was that proteinuria and serum creatinine levels stabilized or became less severe in 7 of the 10 subjects when they discontinued the AAS, prolonged exercise, and other components of the bodybuilding regimen. Perhaps the biggest challenge in conducting the study was getting the bodybuilders to talk about their steroid abuse. “We have many other patients on file, but we couldn’t include them in the study because they would not admit to using steroids,” Dr. D’Agati explained.